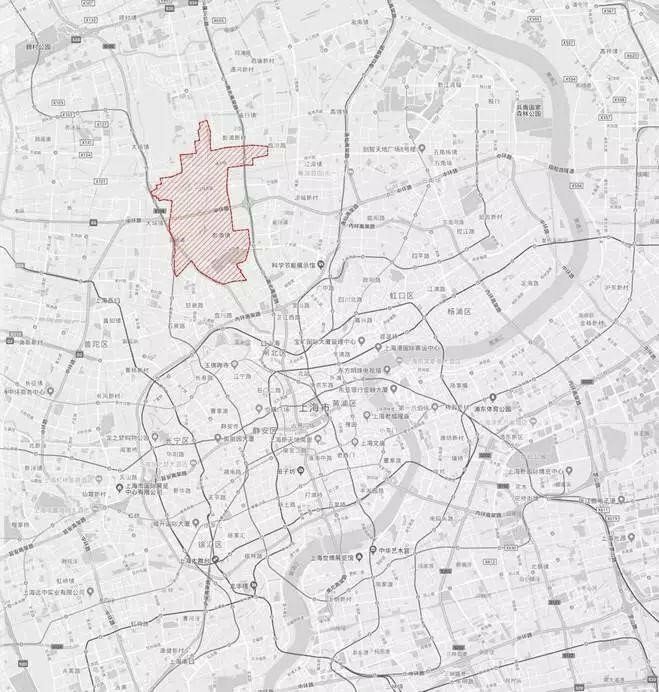 Since 2016, the Shanghai Urban Public Space Design Promotion Center has been exploring the micro-renewal of urban space, based on pilot practices, experience summaries, and examples and guidelines. At present, the concept of micro-update has been widely accepted and gradually become the daily work of community governance. The focus of research at this stage is to comb out the needs of the community, form an action plan, coordinate the annual work, and gradually promote the implementation. 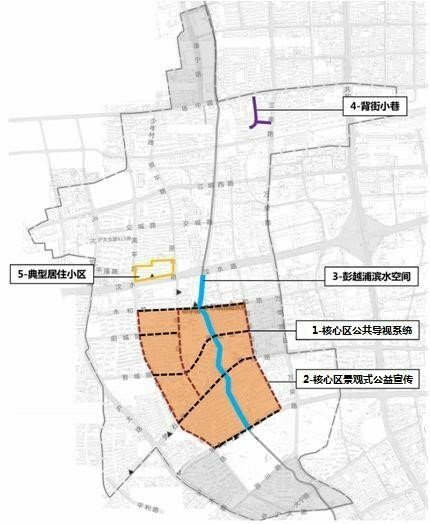 Jing ’an Pengpu Town has cooperated with the center to select five pilot projects for public solicitation of proposals based on the “beautiful neighborhood” community renewal work. It is hoped that not only the innovation scheme will be collected, but also the operating and easy to promote updating paradigm will be refined, and the top-level design of the micro-update work will provide a platform for thinking and practice. Pengpu Town is located in the northern part of Jing ’an District, east to Wanrong Road, south to old Hutai Road, west to Hutai Road, and north to Yuechang Middle Road. The area covers 7.88 square kilometers and the permanent population is about 150,000. Pengpu Town was named after Pengyuepu and was once the “first” of many townships in Shanghai: the first batch of “100 million townships” in the country, the first batch of “hometown of Chinese folk art” in the country, and the first modern education park in the city. The area is rich in public resources, including the largest Daning Lingshi Park in the central city of Puxi, the Baohua Temple of the Millennium Temple, and 15 educational institutions such as Xinzhong High School. Since 2016, Pengpu Town has continued to carry out the “beautiful neighborhood” work and plans the overall spatial landscape architecture “9 +4” landscape road network and “cross” water belt green corridor. 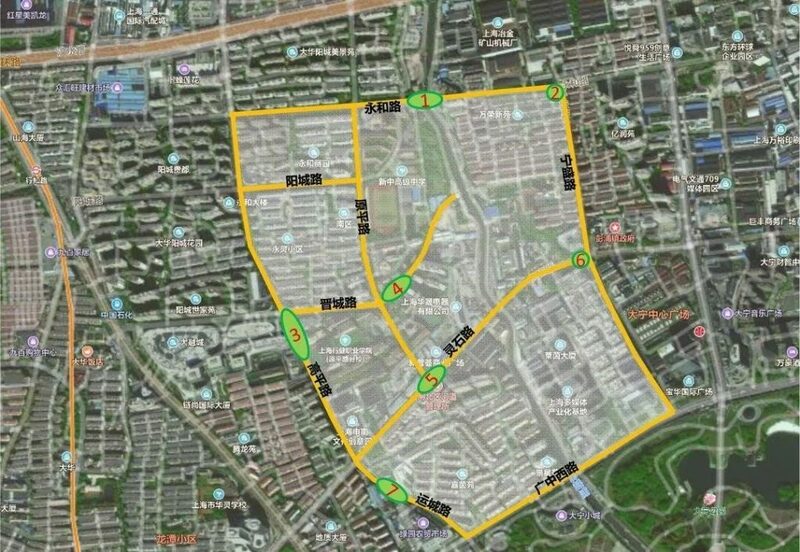 In conjunction with the “Shanghai Street Design Guidelines”, we explored and updated the process, gradually reformed 26 roads in the area, and accumulated rich practical experience and achievements. 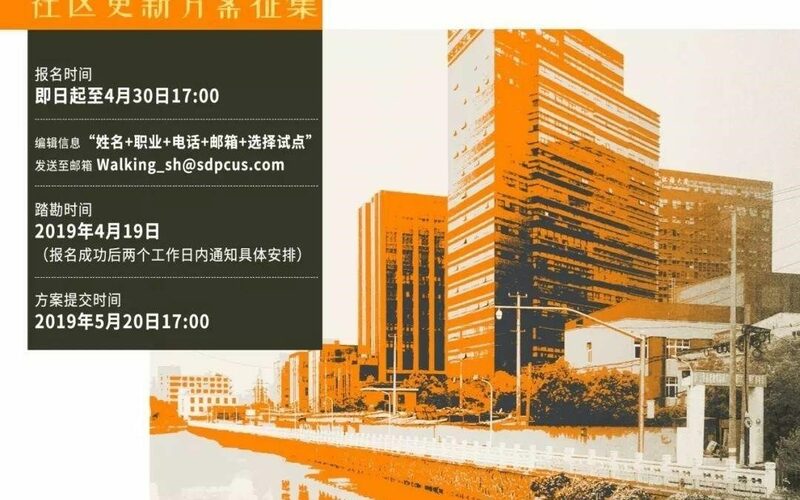 In 2019, Pengpu Town hopes to improve the overall environment from the comprehensive renovation of the streets to further the goal of shaping the characteristics. Around the core area and surrounding area of Pengpu Town, five pilot projects were selected from the aspects of urban space guidance and public welfare propaganda, waterfront space art construction, environmental design of back streets and alleys, and typical community characteristics to create community warmth and sense of belonging and foster community culture and characteristics in Pengpu Town. The design scheme has strong operability, suitable functions, and reasonable control of construction funds. In principle, it is not appropriate to adjust the contents of the red line of roads and the nature of the land, and to rationalize the design without affecting the use of existing space. The integrated design uses landscape propaganda positions, greening ecology, public art, and upgrading of facilities to handle road space, waterfront space, and community public space to create a better living environment and community vitality. The micro-update design needs to be integrated with the overall environment of the region, and the design team is encouraged to systematically consider the five pilot projects to guide the relationship between function, space, and visual beauty. Deeply digging the characteristics of the town’s humanities and arts, closely linking the residents’ diversified needs and designs, increasing the recognition of community culture and promoting residents’ sense of identity and belonging to the community. Designers can sign up for at least one pilot project of their choice, and designers are encouraged to systematically consider the relationship between the five pilot projects. 2-3 horizontal A1 drawings(size 594mm × 841mm, electronic file JPG or PDF format, precision 300dpi). The plan design is distinct, including but not limited to various types of analysis maps, floor plans, elevation maps, profile maps, axle maps, effect maps, etc. to express design intentions and images, in order to solve practical problems, strong operability, and outstanding implementation results. It is accompanied by text descriptions. You can choose to reflect the important nodes within the key design scope to make the magnification plane, the ratio is 1:50; Other design drawings are not limited in proportion, requiring clear and complete expression of design intentions, determined by the designer himself. The explanation should be illustrated and written, including the project construction cost budget, using Chinese, and the measurement unit using the internationally used metric system. Programme results need to be designed for at least one pilot project, otherwise they are considered ineffective. The core area of Pengpu Town is surrounded by Yonghe Road, Wanrong Kai-Ningsheng Road, Guangzhong West Road, and Lu-gao, which covers an area of about 1.2 square kilometers. In addition to large areas of residence, the film area has public facilities such as town governments, town cultural activity centers and many schools. Design requirements: Take the core area as the research area, use the Pengpu Town Landscape Planning System as the basis (provided in the design data pack), and use the pedestrian space, walls, and green spaces of the road as the carrier to explore the overall style of the street area in combination with local characteristic culture. Pilot 1 “Public Space Guide” It is hoped that the space will be reasonably selected in the environment, systematically layout signs and instructions, serve residents to travel, read street information, and guide community service facilities. The installation needs to show the local cultural atmosphere and blend with the environment. We hope to use the wall interface and open nodes in the interface of road space environment, increase the propaganda position combined with public art, shape the cultural landscape, and adapt to the diverse and variable needs of the display content. In 2018, Peng Yuepu(Lingshi Road-Wenshui Road Section) completed the reconstruction of the waterfront landscape model section on both sides of the river, forming a continuous north-south walking system. The coast uses the space hinterland to combine elements such as trails, greenery, facilities, and lighting to build a natural ribbon park, set up a hydrophilic platform space, and plant lush aquatic plants to add a beautiful landscape to the waterfront. The alleys mainly serve the people and vehicles of the surrounding communities, connecting with Zhongzhong Road and Sanquan Road, and temporarily serving the underground passage of Sanquan Road and the diversion of vehicles on the ground auxiliary roads. The alleys are mainly one-way traffic for motor vehicles. There are parking spaces on the roads. There are multiple community entrances and school entrances and exits along the roads, and various forms of walls. The pedestrian experience of the alley is poor, the space lacks vitality, and the environmental quality needs to be improved. The designer needs to design the overall space environment of the back street alley. The design content includes optimizing the flow of people and vehicles and standardizing parking spaces to enhance the comfort of the walking environment. Update the facades along the alleys (walls, greening, lighting, entrances and exits, etc. ), improve barrier-free facilities, and increase cultural propaganda facilities. The southern entrance of the community, neighborhood committees, along the Wenshui Road and Yuanping Road are the main renewal of the facade. According to the living needs and behavior habits of residents in the community, we will create a “living source” of the entrance, integrating security devices, theme images of the community, convenient services for the people, smart facilities, cultural propaganda, love care, and residents’contacts. The quality of the facade of the street building has been improved to create a temperature and characteristic street view. The South entrance of the community is undergoing renovation. It will be combined with the intelligent and peaceful requirements to implement the entrance transformation of the community, and at the same time, the small space for cultural propaganda and neighborhood exchanges.